The months from November to March are usually the quietest when it comes to seeing animals on safari in Botswana and other southern African countries. Animals are generally more scarce during these months and harder to spot — since there is more water available, they don’t all congregate around single water sources, and the heat causes them to move less and hide in the lush bushes. 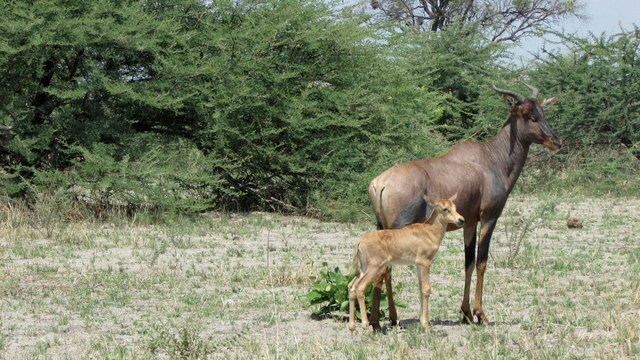 The start of the rainy season, however, is also the time of the year when babies are being born in the bush. 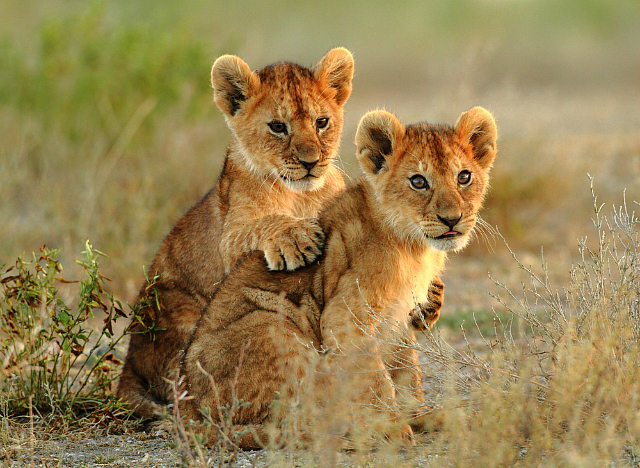 If you travel through Botswanan game reserves you will find many youngsters with their mothers, from lion cubs to baby buck. Here are a few that were spotted during early December 2014 — some very young and still gathering their bearings, and others a bit older with their bush cred already established. Zebras are born with their camouflage stripes intact, and are up and ready to walk within 15 minutes. 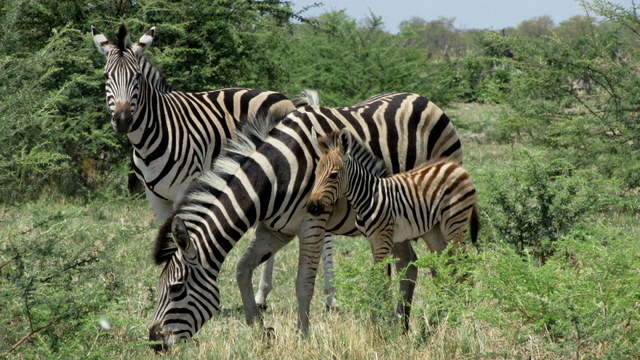 There is no time in the bush to be weak, as young zebras are extremely vulnerable animals. A mother keeps her foal close by her side for the first two days, limiting interaction with others in the herd. This is to make sure the foal can identify her by sight, sound and smell. Zebras are usually fully weaned between 7 and 11 months, already looking after themselves. 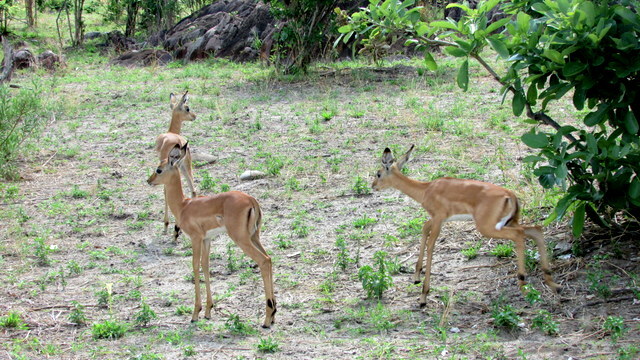 These three young impalas are already inquisitive and wandering away from their mother (although not too far). Young impalas are extremely easy prey for predators in the bush, with half of all newborns being hunted and killed within a few weeks of their birth. They start sprinting and jumping from an early age, eventually becoming able to jump 10m in length and 3m in height. This young tsessebe calf is still very young. Looking more like a young cow when born, tsessebes really only start to resemble their mothers after a few months. 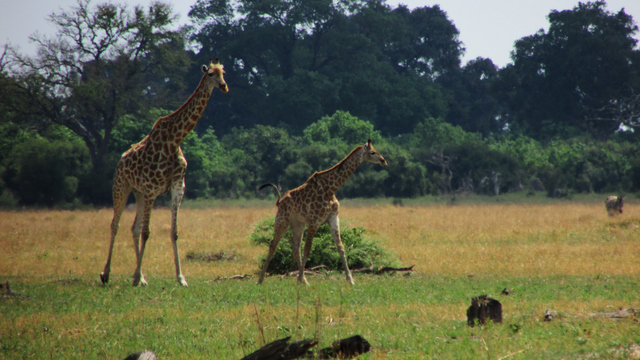 Tsessebes produce offspring at a rate of only one calf per year per mating couple. Which is all the more reason for the mothers to be heavily protective of their little ones, on constant lookout for danger. 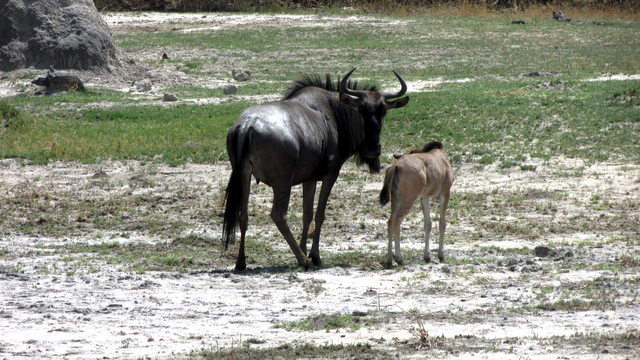 Like most wild animals, baby wildebeest are able to stand and run around within minutes of being born. Wildebeest seek protection in herds, so the young very quickly integrate into the herd, often with a few other young in the mix. They are born with light brown fur with a black tail and mane. Their fur slowly starts to darken as they get older. Young giraffes are always an amazing sight to see. Baby giraffes are already 2m tall when they are born, with long, wobbly legs. It takes a few minutes for them to get their balance after having fallen (literally) out of their mother’s womb (giraffes give birth standing up). While other animals grow their horns as they get older, giraffes are born with their two nubby horns. They are flattened to their head when they are born, but pop up within a week. This elephant is still very tiny — possibly only a few days old. While it looks really small, this elephant baby is likely over 100kg (which is how much they weigh on average when born). 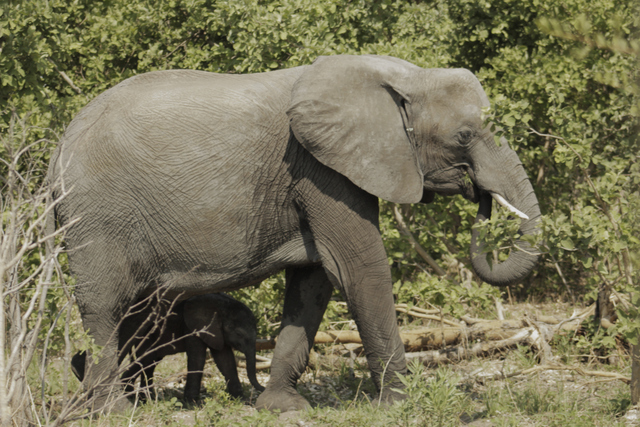 Elephant moms are extremely protective and will do anything to protect their young. You don’t want to get in the way of a mother and her baby! Elephant mothers generally pick a few babysitters from the herd to help look after their young so that they have time to eat enough to produce milk. 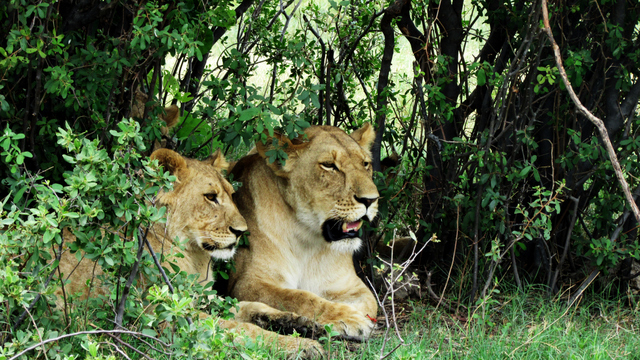 This pride of female lions and their cubs are resting under a bush, seeking shelter from the harsh Botswana heat. Cubs are normally born in a litter of four. 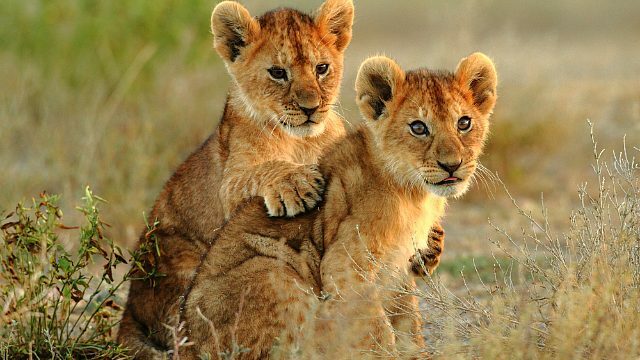 Lions are very social and female lions even synchronize the births of their cubs within their pride so they can turns taking care of the little ones. The young don’t just nurse from their own mothers as they start to get older. While this isn’t necessarily a baby crocodile, it is still very small compared to the beasts that are found in the Okavango Delta. 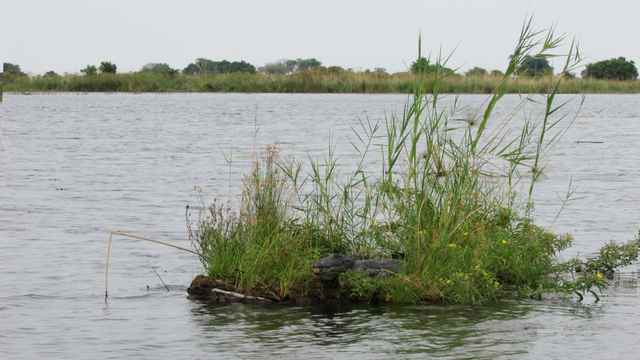 Female crocodiles lay between 20-80 eggs at a time and look after them for three months. Once the eggs are hatched, the mother will help the baby crocodiles to the water but then leave them to fend for themselves. As many as 99% of crocodiles are killed within their first year, so this one was one of the lucky ones to grow to a size where it can start protecting itself (although it’s still quite vulnerable). 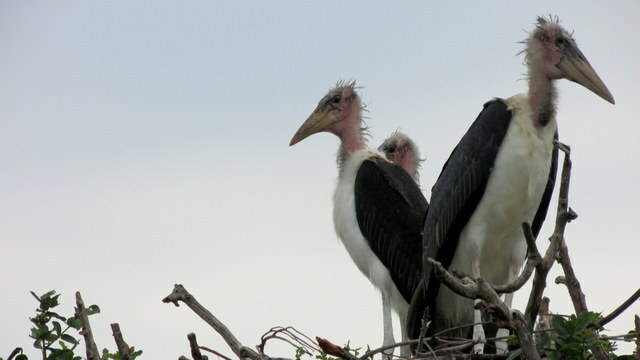 Large colonies of marabou storks flock to the islands of the Okavango Delta to breed. During the months leading up to the rainy season you will find thousands of these birds on top of the trees feeding their young and making a lot of noise. By December the chicks have grown quite a bit and are able to fend for themselves, however they are still outgrowing the fluffy baby feathers on their heads. By then, many have already left the islands, leaving behind a just a few younger ones who are still enjoying the comforts of the nest. This is a slightly less chaotic time to visit the islands. I couldn’t resist including another elephant picture, seeing as Botswana really is synonymous with large herds of elephants. 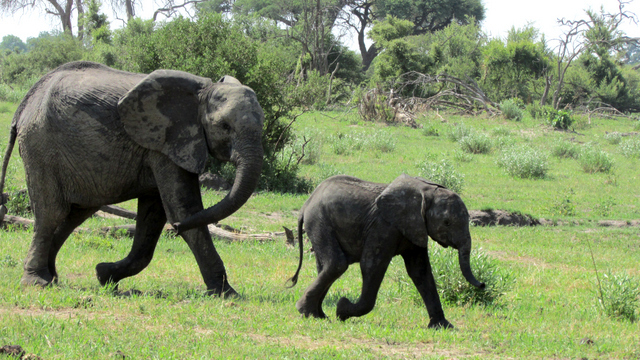 Fresh from a mud bath, these two start strolling along looking for somewhere to eat. Elephants are born with surprisingly few survival instincts and are therefore taught everything by their mothers and other females in the herd. The first few years of an elephant’s life are critical to their lifetime behavior.